Disney Girl: The Secret Is Out!!! Today is the day!! 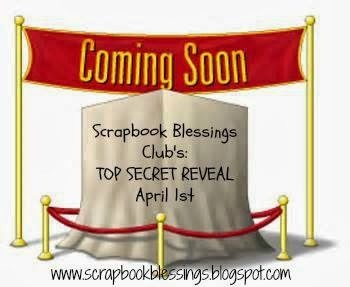 Scrapbook Blessings Club's Top Secret Reveal!! What? Oh what could our secret be???? Scrapbook Blessings Club is now offering monthly card kits! Here is what I made with my card kit. Needless to say I have a lot paper and embellishments left. One of my favorite things about my kit was that I was able to try a product that I hadn't used before. The kit contained the "Wink of Stella" brush. This was my first time using this product and I just LOVE this brush!! If you enjoy adding a bit of glitter to your projects then this is the brush for you! 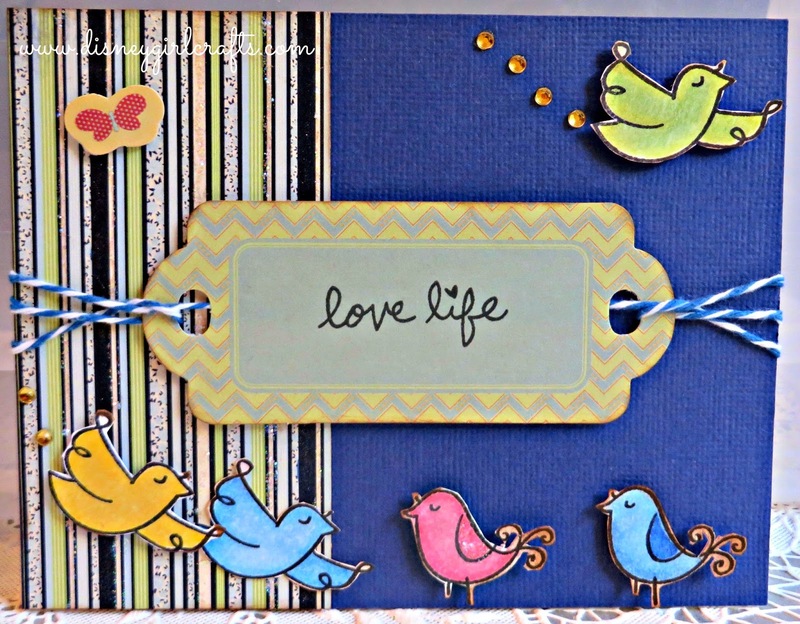 Scrapbook Blessings Club recently did a review of this product. You can check it out here. I am SUPER excited that Scrapbook Blessings Club has teamed up with Scrapping For Less to offer a monthly card kit! There is a lot of crafting fun in store for us with these monthly kits! Thank you so much for stopping by today! I cannot wait to see what you create with your monthly kit. Have a magical day! Cute! I like the cute little birds. It sounds like a great kit. Love all the birdies and the way you did the tag. It is a bright and cheery card! those birds are adorable! great kit for sure!